A Dash of Compassion » My favourite recipes from Plant-Powered Families + a giveaway! My favourite recipes from Plant-Powered Families + a giveaway! Today’s post comes with a short public service announcement: Plant-Powered Families is here! It feels like eons ago when I photographed the recipes for this book. I have to say this is one of my favourite—and also the largest—photo projects I’ve taken on, and I’m so excited to share the lowdown on this book with you now and celebrate it’s release! Dreena Burton is a veteran in the vegan cookbook world and she is seriously one of the most kind-hearted, supportive, and talented women I know. If there’s one book out there that is going to get your family excited about eating healthfully, it’s this one. As a mom to three girls, Dreena shares advice and solutions from her own experience, from pleasing picky eaters and stocking a vegan pantry to packing school lunches and dealing with challenging social situations. Plant-Powered Families also includes cooking guides and nutritionist-approved sample meal plans that will no doubt ensure a smooth and successful transition for your own plant-powered family. This is seriously the best vegan French toast I’ve ever made. The chia in this recipe helps to create an egg-like coating that makes the toast crispy-edged and delicious. And a good dose of cinnamon always makes everything better! 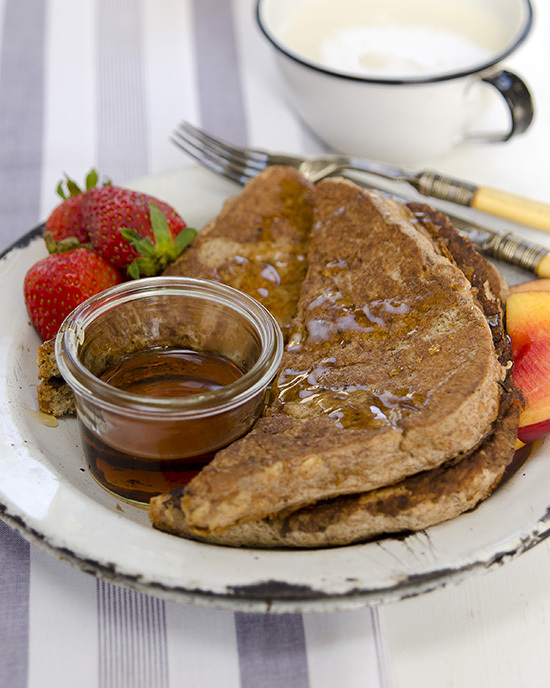 Lucky for you, Dreena shared this French toast recipe on her blog last week. 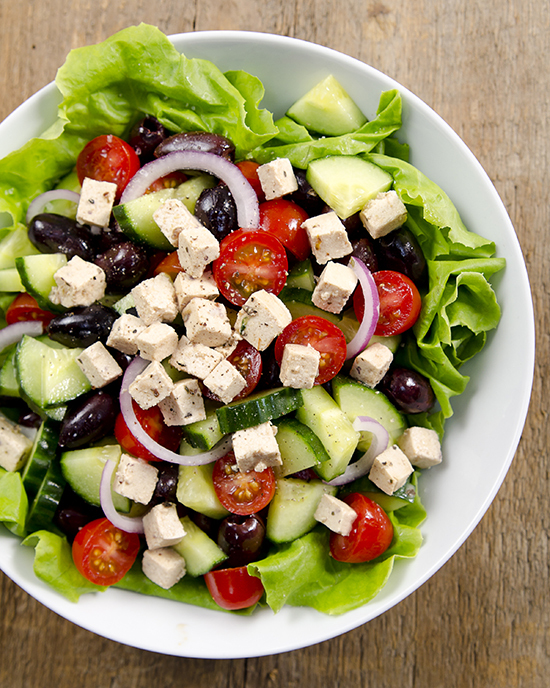 These tangy and tasty cubes make great toppings for salads, especially a Greek-inspired bowl of greens with cucumber, tomatoes, olives and red onion. I was never a fan of cheese even in my pre-vegan days and have no idea if these are reminiscent of the real thing, but does it really matter? They are delightful. I could not stop eating these right off the baking sheet. 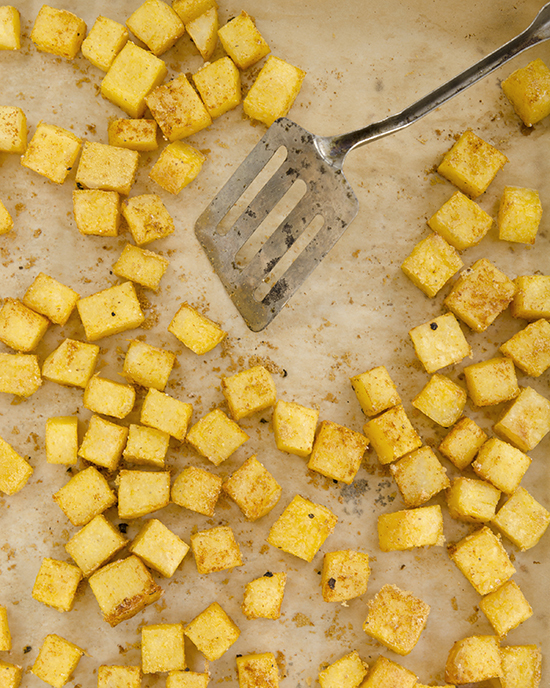 They’re crispy and salty and buttery tasting and all the things I love about croutons, and they’re ridiculously easy to make! If you have a hard time getting your kids to eat salads or other greens, try topping them with these nibbly bites. Who knew you could add artichokes to a veggie burger? Well, you can! I love the combination of nutrition-packed ingredients in this recipe, including brown rice, sunflower seeds, miso and nutritional yeast. Yum! I’d consider these the world’s best bean brownie. 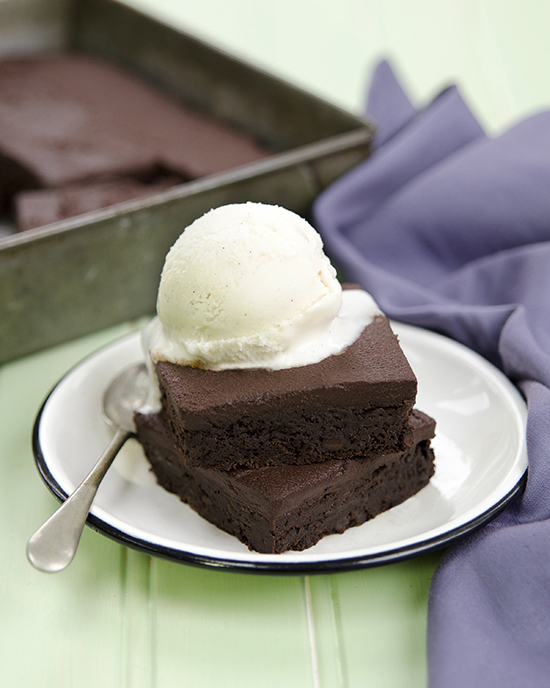 Dense and sweet and full of chocolate—how could you resist? This doesn’t even come close to giving you a preview of what’s in this book, but you can count on a variety of breakfasts, lunches, dinners, desserts and snacks that have all been tested and approved by Dreena’s family and a whole group of very special recipe testers. Dreena’s insight into vegan parenting—and her incredible recipes, including the ultimate vanilla bean chocolate chip cookies—are worth the price of the book. If you want great tips and recipes for teaching your kids about real, whole, delicious, plant foods, grab your copy today! Oh, and be sure to check out the new Plant-Powered Families Facebook community Dreena created for parents to share tips and insights on raising vegan kids, and the adorable merch (onesies, tote bags and more!) for sale on her website. Thanks to my friends at BenBella, I’ve got an additional copy of Plant-Powered Families for one ADC reader! The giveaway is open to residents of Canada and the US. If you’re feeling lucky, enter using the Rafflecopter widget below and I’ll choose a random winner on Friday, May 22, 2015. Good luck! 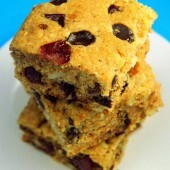 I love how Dreena’s recipes aren’t too fussy and are very kid-friendly. I can’t wait to try some recipes from this book! I’m rushing over to Dreena’s blog right now for that french toast recipe! I’ve got two kids who would love this book. I struggle to find new things that we will love, and our kids will love, and this book sounds like it will fit the bill. I’ve used her recipes in the past, and they’ve always been perfect! I’m a huge fan of vegan cookbooks and have dozens. Dreenas are my favorite by far. Her last book is so well loved by me that it’s falling apart I have been waiting forever for this cookbook and can’t wait to get my hands on a copy. I’m a huge fan of Dreena’s recipes. They are always a hit at family gatherings and often become staples. I also wanted to say that your photos make everything even more enticing. The two of you together are an incredible powerhouse of talent. I love that there is a picture of every recipe. Pictures inspire me to make the dish! 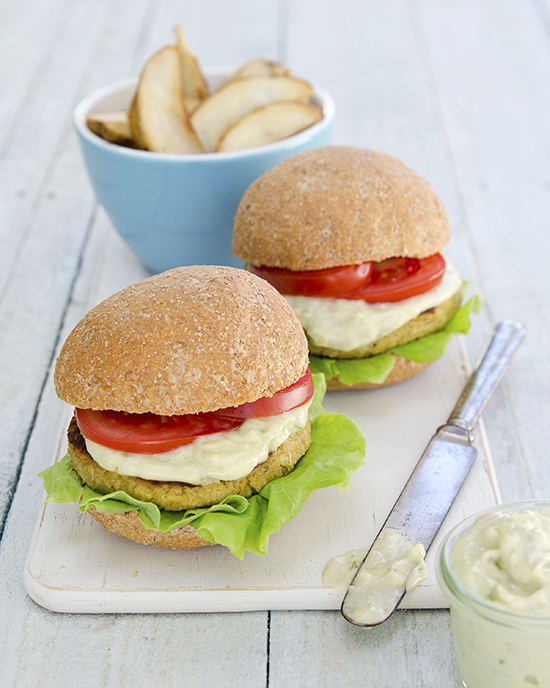 i want those artichoke and sunflower seed burgers! I would love to have this set of healthy and delicious vegan recipes to make for myself and my friends! I would love the book because I’m currently striving (struggling) to get my PhD in nutrition, focusing on childhood obesity. Next spring I’ll be the lead instructor for Maternal, Child and Infant nutrition (I’m scared!) and I would love to have some neat ideas to share. I know feeding children is a battle, and a struggle! Neophobia is real, and if we can make it easier for parents to get children to try new things that’s half the battle. We can fight obesity with creativity! I’d love to win this book because the recipes seem accessible. I’m vegetarian, leaning on vegan, and I’d like my son to eat (way) more plant-powered meals. I want this book because I am trying to eat a more plant based diet and think this book could be very helpful to me in doing so. This book looks amazing! I have some picky eaters in my family, so this book speaks to me! I’m always looking for new recipe inspiration and am in the process of enlarging my vegan cookbook collection — this one looks like it would fit right in! I want this book because it looks amazing, and I love making plant based food that my kid will eat! I look forward to this book because I have a couple of her other books & enjoy them. Her recipes are healthy, simple, & tasty. I have some of Dreena’s other books, and they’re great, so I’d love to have this one too, to read and then probably pass on to my brother’s family. My nephew is the pickiest eater I’ve ever met (which probably started with early negative experiences with food, up until the moment all of his allergies were finally identified), and I’d be curious to see if any of Dreena’s tips would help us help him expand the list of foods he feels comfortable and enjoys eating. I’m hoping to get my carnivorous nieces and nephews to eat more veggies… and their parents too (eat veggies, that is)! I love all of Dreena’s books. This one looks great. I love French toast. I love her blog and the e-book though I don;t have any of her books, I could use from good ideas for helping the kids enjoy a whole foods plant based diet! 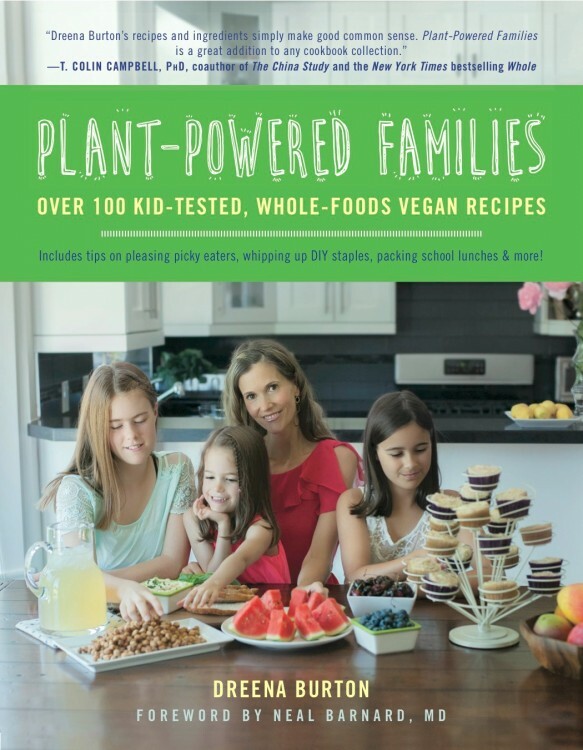 We have a plant-powered family and are always looking for new, inspiring family friendly recipes…would LOVE this book! I love that her recipes are simple but look delicious. I have chronic health issues so I cannot spend a lot of time in the kitchen, but I am committed to being vegan. I would love to win this book to add to my arsenal of yummy vegan recipes! Dreena is my ALL-TIME favorite chef. 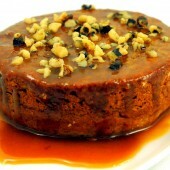 I have enver had a single recipe of hers fail, and all of her creations are just so simple and easy! I’ve been looking forward to a vegan cookbook that’s geared towards busy families. I’m intrigued by the artichoke sunflower burger.